“Jeffrey is an International Fitness Presenter, Schwinn Lead Master Trainer, Reebok Master Trainer and an Area Group Fitness Manager for Equinox Fitness Clubs. 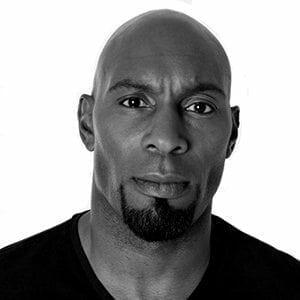 With over 20 years of experience in the Health and Fitness industry, Jeffrey has conducted training and workshops in over 15 countries around the world and is recognized as a top fitness educator, instructor and personal trainer who is known for his creative choreography and motivational teaching. Amy Dixon is one of the most dynamic fitness instructors and celebrity Master Trainers in the industry today. She holds a Bachelor of Science degree in exercise physiology as well as many other fitness certifications. Amy is a contributing fitness expert for the OWN show, the West Coast Cycling Mentor for Equinox Fitness Clubs, the resident coach and spokesperson for Avon’s breast cancer walks, Reebok’s Global Walking Partner as well as a Master Trainer for Schwinn Cycling, BOSU and Shockwave. Amy is also the star and creator of many award winning fitness DVD’s and online fitness programs. Keli is the recipient of the 2003 IDEA International Fitness Instructor of the Year award and in 2007, Keli was inducted into the National Fitness Hall of Fame. As an ACE Master Trainer and SCW Faculty member, Keli is known for acclaimed workshops worldwide. Her award-winning videos demonstrate her exceptional teaching skills. Keli is ACSM HFS certified and holds certifications through AFAA, ACE and Level 1 Precision Nutrition. Additionally, Keli is a BOSU® Developmental Team Member and a Schwinn Master Trainer. Mindy is the 2015 PFP Trainer of the Year, 2013 CanFitPro Specialty Presenter of the Year, 2008 Fitness Presenter of the Year, 2004 Can Fit Pro International Presenter of the Year, 1999 International Fitness Instructor of the Year, a National and World Aerobic Champion, and a five- star presenter. Mindy is an advisory board member for Oxygen Magazine, an international presenter, author, motivational speaker, video personality and CEC provider for SCW, ACE and AFAA. Mindy is an advisory board member for Oxygen Magazine, an international presenter, author, motivational speaker, and video personality. • Owner of FIT Inc.
• Master trainer for Reebok International Ltd.
Gregg is a national fitness educator with eight years of modern dance and movement training and with over 10+ years of experience in the fitness industry. Gregg is a Schwinn® Cycling Master Trainer and author of two fitness books, “Body Bar: 133 Moves for Full-Body Fitness” and “The Gym Survival Guide: Your Road Map to Fearless Fitness”. Currently teaching classes and mentoring instructors for Equinox, Gregg is filled with a passion to help others. • Author of Body Bar: 133 Moves for Full-Body Fitness” and “The Gym Survival Guide: Your Road Map to Fearless Fitness”. Abbie is an international fitness expert and educator who has written the SCW Ballet Barre Certification and updated the SCW Pilates Matwork Certification. She is a Rykä® Ambassador and a Master Trainer and Consultant for Activmotion Bar™, Body Bar® and Schwinn®. As an honored SCW faculty member, she has designed fitness programs and contributed to certifications, videos, magazines and journals and possesses multiple certifications and awards. Alex McLean has been teaching group fitness since 1995. He is an educator for three global brands: Schwinn® Cycling, TRX® and Strong by Zumba™. Alex has appeared in multiple video and print fitness projects. An LA-based professional dancer and acrobat, he has been in commercials for Facebook and Joy Mangano Home Products. He danced for LeAnn Rimes in the opening ceremonies of the Rose Parade, as well as for Disney, Universal Studios and the NBA/WNBA. Certifications: ACE, AFAA, NASM. Megan Hendricks is an Equinox Group Fitness Manager and Cycle Mentor in Dallas, Texas. A former collegiate golfer at the University of Central Florida, Megan began teaching cycle as a way to cope with the injuries and maintain her fitness. Since then she has continued to grow in the industry and has over a decade of experience in coaching. Megan teaches main studio formats, bootcamps and cycle, she is AFAA, ACE, NASM, TPI, Schwinn and CPR certified. Eric is both an energetic and charismatic fitness instructor and personal trainer, holding multiple health and fitness certifications. He also has an extensive performing background including both a Bachelor’s and Masters degree in voice/opera performance from Trinity University and Arizona State University respectively and still performs today. Including his role as Master Trainer for Core Health & Fitness and SCWHINN® Indoor Cycling, Eric has also presented as an educator for Life Time Fitness at their EMPOWER! conference in Scottsdale, AZ and for their signature formats. Through Life Time Fitness he has also been part of the filming for SPARTAN® Strong and AFAA group fitness education. He, and his husband Chris, own Avenger Fitness (www.avengerfit.com) based out of Phoenix, AZ coaching individuals (in-person and remotely) to achieve their optimum selves both physically and mentally. Eric is also an ACE Weight Loss Management Specialist working together with overweight and obese populations through life-altering transformations. For fun, he is also a bodybuilder competing in local and national competitions in the Men’s Physique division. Eric currently resides in Los Angeles, CA teaching at various EQUINOX locations in the LA region. Eric is certified by the National Academy of Sports Medicine (NASM) and the American Council on Exercise (ACE) both in group fitness and Weight Management plus he holds certificates in TRX, Kettlebell, and other HIIT programming. Jason Schneider is a professional endurance and multisport coach with certifications in triathlon, running, cycling, distance and masters swimming. A 4x Ironman with over 18 years personal triathlon, cycling, ultra-distance, marathon and multi-stage racing, Jason translates his experiences, the fundamentals of training and endurance racing into challenging, high-intensity, goal and results-oriented indoor training and group fitness classes. ACE & AFAA Certified Instructor, Schwinn Master Trainer and CrossFit Certified Instructor. Jason is also trained is many functional strength modalities including ViPR, Kettlebells, TRX and IndoRow. Jason believes that fitness, strength and health should be more than just aesthetics; these are the building blocks of injury prevention, energy and longevity. Jason is the founder and head coach for TriTrain Endurance Coaching and a Area Group Fitness Manager for Equinox Fitness Clubs in Southern California. Helen is the owner of Heavens Elevated Fitness Club and Fusion Fitness Training™ in Calgary. She is the recipient of many industry awards, including the 2005 IDEA Instructor of the Year, 2015/ 2013/ 2006/1996 CanFitPro Presenter of the Year and an elite athlete as a former World Champion synchronized swimmer and honored member of the Sports Hall of Fame. Helen is a master trainer and educational program developer for Schwinn, BOSU and Total Gym and the author of Fusion Workouts. • BPE, 2015 Canadian Presenter of the Year! • Fitness columnist for numerous magazines and newspapers including the Fitness, Self, Chatelaine, Flare and The Calgary Herald. The Area Fitness Manager for Harvard University and Harvard Law School since 2003, Dawn Stenis holds a BA in Kinesiology and has over 20 years of experience in the fitness industry. She is a Master Trainer/Presenter for Schwinn, BOSU® Fitness, Tabata Bootcamp, Barre Above and is a faculty member for SCW Fitness Education. Dawn is a certified personal trainer, group fitness instructor and a former health club owner. She holds ACE, AFAA and AEA certifications. • Bachelor’s degree in biochemistry and master’s degree in health education. Lou Atkinson is an educator, coach and researcher with a passion for engaging a diverse range of people in physical activity and indoor cycling. As Schwinn Cycling Education Manager for the UK, Lou has overseen the achievement of SkillsActive endorsement for the whole Schwinn Cycling education programme, and the programme has been recognised with several prestigious fitness industry awards. Lou’s research centres on health behaviours during and after pregnancy, and the fields of maternal and childhood obesity. In addition to working as a Master Instructor and Researcher, Lou still teaches Schwinn Cycling classes every week. Britta began working in the fitness industry in 1996, as an instructor and coordinator for workout programs for several fitness clubs. She subsequently used her passion and interest for cycling and heart rate controlled training to become a Polar Master Trainer and joined the Schwinn Cycling National Presenter Team in Germany. After successfully completing her law degree and work experience in a renowned law firm, she now works for a legal publishing company. Eva is working as an educator and regional education manager for the distributor of Schwinn Cycling in Czech Republic and Slovakia. Eva started to work in the fitness industry in 1998 and is currently working as a group training instructor in two fitness centers in Switzerland. She was working as a group training manager in the World Class Fitness network in Prague and in 2009 opened her own group fitness center in Nymburk. Eva is part of the organization team of one of the biggest Schwinn Cycling Events Passion & More in Switzerland. Igor works as general manager in his gym in Italy since 2005. He is a professor of physical education and was teaching at primary and secondary school. He has a lot of experiences as physical trainer of football, water polo and tennis. Igor played football for many year and now his passion is to train himself and to participate at triathlon races. Jorge has worked in the Fitness industry since 1996. He began working as a Personal Trainer in 1997 and still trains his first client to this day. Jorge has delivered educations for Schwinn Cycling all over the world, from Brazil to Malaysia and has presented at Fitness Conventions in Brazil, Portugal, Switzerland, Spain, Israel and China. As the Schwinn International Education Program Leader Jorge is responsible for the Schwinn Indoor Cycling Program and the international Master Instructor Team, located across Europe. José Luis is working on his own PT studio since six years ago. Before he was working as an educator and Studio Product Manager for Duet Sport & Spa after being Regional Education Manager at Nautilus Health & Fitness Group, Education Manager at Fit4Life, and Fitness Manager of Medfitness. Jose’s company, Activitat Física i Salut SL, works for Diputació de Barcelona, town halls and as a consultant for different companies. • Creator of several theoretical indoor cycling workshops and taught educations and conventions in Spain, Czech Republic, Poland, Portugal and China. James is a Schwinn Master Trainer, Certified program director, and Group Fitness Management Specialist in both land and water programs. With more than 20 years of experience in the Health and Fitness industry James has presented in fitness conferences and conducted training workshops nationally and internationally; in Canada, the United States, South America and the Middle East. Francesca has been involved in many aspects of the fitness industry for the last 20 years. Known for her fun and motivational teaching style, she holds an undergraduate degree in Exercise Science and a Masters in Health Promotion and Wellness Management. Owner of BURN STUDIO/Personal Trainer and Group Exercise Instructor. Robin graduated from the University of Central Arkansas in ’99 and holds a Bachelor of Business Degree in Marketing. After a career in sales, she entered the fitness industry and has been there for 17 years. Before opening BURN STUDIO, Robin held the title of Personal Trainer of the Year for three consecutive years, 2009, 2010, and 2011 at her previous facility, where she also taught classes such as Indoor Cycling, Pilates, Strength Training, HIIT, and Boot Camps. Robin is highly experienced in working with all types of fitness levels and her mission is to make sure that every time a client works with her, they take a journey to change their life mind, body and soul. Angela Leigh is an athlete at heart and a yogi in spirit. An innate teacher’s teacher, Angela thrives on developing her team of Group Fitness Instructors at Equinox so they create an unparalleled fitness and community experience. Angela is ACE and AFAA accredited and hold certificates in TRX ™, Kettlebell Concepts, Indo-Row and Schwinn Cycling. She is a Master Trainer for Schwinn & National Master Trainer for BOSU. Angela created Stacked for Equinox which is a nationwide Signature Program. She was featured in SELF magazine in February 2013 for Stacked. Angela has also contributed to many publications such as Glamour and New Beauty. Angela won “Are You the Next Fitness Star” contest in 2013 and released her first fitness DVD in 2014. Angela embraces the philosophy of yoga and weaves it into all formats she teaches. Angela believes in living a pure life of bravery, authenticity and kindness. Shannon Fable, 2013 IDEA and 2006 ACE Instructor of the Year, is a fitness business and programming consultant who has helped brands such as Anytime Fitness®, Schwinn®, Power Systems® and BOSU® over the last 20 years. As an experienced educator and certified Book Yourself Solid® business coach, she helps fitness entrepreneurs navigate the industry and make more money. Fable, a member of the ACE board of directors, is the owner of GroupEx PRO®, a cloud-based group fitness management tool, and Balletone®. Certifications: ACE, AFAA. Tahneetra Crosby is proud mother of two, an international fitness presenter/educator, group fitness instructor and personal trainer with over 17 years of experience. Tahneetra is a Senior Course Instructor, conference presenter and App Coach for TRX® Suspension Training®. Most recently, Tahneetra joined the Hedstrom Fitness, BOSU® and Surge® team as a Master Trainer and conference presenter. She also recently joined the Bowflex® Max Trainer® team as a trainer on their App. Tahneetra is also a Schwinn® Indoor Cycling Master Trainer and a representative for Core Health & Fitness which includes StairMaster, Nautilus and Star Trac. Tahneetra has appeared in several fitness videos for various companies including the Power Music Group Rx programs. Tahneetra specializes in strength training, cycle, dance, boot camp, step and interval-style classes with an emphasis on the fun factor. Certifications: ACE, NASM and AFAA. Becky is the founder of Intrinsic Motion Inc. (www.intrinsic-motion.com) has spent her entire career in the health and fitness industry. She studied Health Promotion and Wellness at the University of Wisconsin Stevens Point, and completed a Masters program in Exercise Physiology and Pedagogy at the Western Michigan University, Kalamazoo, MI. Becky has worked with Schwinn Education and BOSU as a national master trainer for more than 15 years and currently resides in Wake Forest North Carolina with her husband and two children where she teaches full time as an Associate Professor in the Health and Fitness Science division of Wake Technical Community College in Raleigh NC. Rob Glick is the senior director of group fitness, yoga and cycle at Life Time Fitness™. He holds a bachelor’s degree in exercise science and continues to bring cutting-edge education and programming to the fitness community. Rob was named the 2006 International Presenter of the Year by canfitpro and the 2005 Best Male Presenter by ECA. He is a master trainer for Schwinn® Cycling and a co-creator of EMPOWER! Sandy is a Master Trainer for Schwinn’s Indoor Cycling Program and coaches cycle classes at several clubs in Downtown Toronto. She is ACE and AFAA certified and is a continuing education provider. Sandy has been coaching indoor cycling for 20 years and has had the pleasure of presenting her rides throughout North America. It is her passion and she would love to share it with you. Sharon has been in the fitness industry for more than 36 years. She has managed LifeStart Corporate Fitness Centers for over 25 years. During her tenure she was initially responsible for the operation of one center for 16 years, managing, Health Coaching, Personal Training and teaching Group Exercise. Her last 9 years have been spent at the corporate level, responsible for managing LifeStart’s entire portfolio. Certifications include: Personal Training -NASM, NSCA; Intrinsic Biomechanics Level 1 & 2; Health Coach, Group Exercise-Schwinn Indoor Cycling Master Trainer, Yoga, Pilates, Barre, KickBoxing, Fusion. She has been an International Fitness Presenter, Shape Magazine Writer, Contributor & Motivational Speaker. Mother of five, grandmother of 10. Enjoys surfing, snowboarding, biking and swimming. From the moment she donned leg warmers and stepped barefoot onto green shag carpet to teach her first aerobics class in 1981, Denise Druce has been inspiring people to live healthier, happier lives. Denise has taught a wide variety of fitness classes over the years, from step to slide to indoor cycling to yoga. Her classes have inspired professional athletes, Hollywood stars and everyday folks of all ages. She has a Masters Degree in Public Health, holds the designation of Yoga Alliance E-RYT500, and is the director of yoga teacher training at Yoga Assets and is Schwinn Master Trainer. She currently fills her days training yoga teachers, teaching yoga and indoor cycling to athletes at the University of Utah, and teaching at 24 Hour Fitness. With over 20 years in the Health and Fitness industry, Janelle is known for her inspiring classes that combine her love of music and motivational coaching techniques. Her athletic background includes competing in bicycle track, road, & criterium races, triathlons from sprint to Ironman distances and 12 marathons to date. Skip Jennings is a CPT, ALSP, Transformational Life Coach and licensed spiritual counselor, radio host of The Shift with Skip and owner of Mind, Body, and Spirit Solutions LLC. For more than 20+ years Skip has helped his clients realize their highest physical and spiritual heights both nationally and internationally. In addition, Skip Jennings is a motivational/inspirational speaker and has been blessed to speak throughout the world for: Equinox, Sara City Workouts, Crunch Fitness, Can Fit Pro, 24 Hour Fitness, IRHSA and others. Skip is also a fitness presenter and affiliated and proudly partnered with Schwinn Indoor Cycling as a Master Trainer, a fitness manager with Equinox, Bosu, WaterRower and Shockwave trainer, a Lululemon ambassador, and has presented at the IDEA fitness conferences as an Idea Expert for several years running. Sherri McMillan, MSc, has been inspiring the world to fitness for almost 25 years. She has received numerous industry awards, including the 2010 canfitpro International Fitness Presenter of the Year, the 2006 IDEA Fitness Director of the Year and the 1998 IDEA Personal Trainer of the Year. As a fitness trainer, fitness columnist, and author of five books, Sherri is also a featured presenter in various fitness DVDs, and is a spokesperson for Nike, Schwinn® and PowerBar®. Sherri holds a master’s degree in exercise science. Christina has been passionate about indoor cycling since 2001, progressing from teaching indoor cycling classes in different clubs, to presenting for the Schwinn Cycling National Team in Germany. She also manages the indoor cycling program in her local fitness club. Christina’s sporting past includes athletics and archery and she loves running marathons and riding mountain bikes in local competitions. She wants to inspire people and loves to educate her participants with a lot of passion and humor. Detective for the German Police. Emrah has worked in the Fitness Industry since 2003. He started to teach Schwinn Cycling in 2003, he started as an Educator for Schwinn Cycling in 2013. Emrah works as a Fitness Education Commitee Member and Educator in Turkey Body Building Fitness and Wrestling Federation. Formerly, He worked as a Fitness and Cycling Educator and Education Manager for 50 MAC & MACFit Clubs across Turkey. Being a Schwinn Cycling Master Instructor, Emrah is responsible for the Education of Trainers in Turkey. João has worked in the Fitness Industry since 2000. Since his academic training, he is the coordinator of the physical exercise room and swimming school at Forlife (Portugal) gymnasium, Physical Activity teacher for children and young people and instructor of various gymnastics modalities. Former practicing cycling and federated athletics, where he obtained some victories in the races. João is the organizer of dozens of official Schwinn Cycling events as well as presenter at several international events in Brazil, the Czech Republic, Switzerland, Germany and Belgium. Fortunato is completely passionate about cycling. He began his cycling career at the age of 15 and has not stopped yet. He participated and completed numerous Ironman Triathlons between 2002 and 2005 and is a former professional cyclist within the Brazilian Elite Cyclism. Besides working as a cycling and triathlon coach, he currently works as at Bodytech (S/A), (the largest fitness club chain in Brazil), as Personal Trainer and cycling instructor at the largest Club chain in Latin America. He started with Indoor Cycling in 1998 and his passion continues to grow. A.C.E (Real and Authentic Cycling Experience) Program Developer. Martina started with Schwinn Cycling in 2005 and it became part of her life. Martina worked at World Class Fitness in Prague for 6 years, teaching Schwinn as well as many other group fitness programs. After graduating from the University of Economics in Prague, Martina moved to Romania following her passion for fitness and was working for World Class Fitness and MOVE ON education in Bucharest. Martina is a Schwinn Master Instructor, international presenter and educator, teaching educations in Romania and Czech Republic and has presented classes in many countries in Europe and Latin America. Michal has worked in the Fitness Industry since 2006. In 2007, he became Schwinn Cycling Instructor and his adventure with indoor cycling has then started. Meanwhile Michal got his Master‘s degree at the University of Physical Education in Wroclaw. Michal has been always keen on sports. At 14 he started training cycling and in 2005 he became Poland‘s Champion in Track Cycling. Presently, Michal manages a fitness club and he is also responsible for developing new sport center’s in Wroclaw and countrywide. After receiving his high school certificate in 1983 he attended a business school to get his MDA degree. During all this time, sports and competition was his constant companion. Michael teaches education in German and English but also speaks French and Spanish. Since 2001 part of the Schwinn Team, he started as a National Presenter before becoming Master Instructor in 2005. Over all these years he educated about 1100 new instructors all over the world from Bejing via Bahrain to Berlin. Patrick works for the Federal Customs Administration as precious metals expert. He is responsible for the entire north-west of Switzerland. 1998 he experienced indoor cycling and completed his basic certification in 2000. Patrick’s passion for sports was already discovered very early. He started with athletics (decathlon) and experienced the joy of strength training. Over the last ten years his preferences changed to focus endurance sport on two wheels and the corresponding weight training. Presenter at numerous events in Switzerland and Germany, e.g. Passion&More, Sunday’s Cycling, Alpstein Challenge, etc. Rossen is engaged in sports professionally for over 25 years, during which he has received numerous awards and diplomas in European and World championships, and other events. He has worked in the fitness Industry since 2003 when begins his career as an aerobics instructor. And became the manager of several sports clubs in Sofia in the last few years, and as well the founder and owner of the Sports Club “Be Shape studio by Rossen” Sofia. In 2011, after serving 21 years in the British Army Simon decided to pursue a career within the fitness industry. Qualifying as a Personal Trainer, Pre and Post Natal exercise instructor in 2011, Simon moved into elite sport in 2013. Completing a BSC (Hons) in Applied Sports Science has allowed Simon to conduct physical fitness testing and monitoring on elite athletes and premiership football teams. Simon has also provided sports Science support to an elite female football academy. Simon is now studying at Winchester University, completing a Masters of Research in Sport and Exercise Science, and working closely with the British Army conducting research into injury prevention during training. Stefano was born in Rome with an Italian nationality but lived in UK since 1978 and since 1999 has worked in the Fitness Industry as a Fitness Instructor in various gyms. In 1999 he discovered and he qualified as a JG Spinning Instructor. In 2000 he moved to Schwinn IC and continued his career to becoming a Bronze Level Instructor. Together with a partner he has dedicated and developed a Schwinn IC studio. Stefano is very passionate and he has never stopped teaching and educating new inspiring teachers around the globe. Kimberly is the Senior Director of Group Fitness, Yoga and Indoor Cycling for Life Time Fitness, a premier ‘healthy way of life’ company that operates over 100 centers across the United States and Canada. She is a member of the IDEA Program Director Committee, LifePower Yoga Faculty Member and one of Exercise TV’s Star Trainers as well as star of several exercise videos. She is the co-creator of 5 Star Development Training and co-producer of EMPOWER! Fitness Events. Known for her passion, enthusiasm and humor, Kimberly travels the world as a Presenter, Motivational Speaker and Continuing Education Provider. Kimberly’s philosophy: Do what you love – LOVE what you do! Evelyne works as a freelancer for PR and advertising agencies. She first encountered indoor cycling in 1998, and her passion was so great she started to teach classes after the birth of her first daughter. After teaching in different clubs, and presenting at different events, she became a member of the Schwinn Cycling National Team in Switzerland. At her local fitness club, she manages the indoor cycling program and teaches lessons for football and cycling clubs. Hiroaki, is a Schwinn Master trainer and presenter in Japan. Hiroaki, has been teaching indoor cycling, MOSSA Programs, Aqua, Swimming and personal training for 16 years. He also holds education certifications in MOSSA programs, KAATSU, ViPR PT Lv.1 and Class C teaching in Japanese. Ryutaro, is a Schwinn Master trainer and presenter in Japan. Ryutaro, has been teaching indoor cycling, MOSSA Programs (Group Power, Group Fight, Group Ride and R30), Personal training and Indoor Cycling for 14 years. He also holds education certifications in MOSSA programs, Oasis PT program and ViPR PT Lv.1. Taichi, is a Schwinn Master trainer and presenter in Japan. Taichi, has been teaching indoor cycling, MOSSA Programs (Group Power, Group Fight, Group Ride and R30), Personal training and Indoor Cycling for 10 years. He also holds education certifications in MOSSA programs, Oasis PT program and ViPR PT Lv.1. Leon Yang (from Lanzhou, China) has 10+ years experience in the fitness industry. Leon currently runs a fitness club and is responsible for PT Management and Gym Operation. Leon is also an amateur cyclist, he participates in domestic amateur cycling events all year round. Sam (Shanghai, China) started his journey in the fitness industry in 2005 as GX Training Manager. Sam has rich experience in GX Program Management, was Regional GX Manager for Tera Wellness Group. a leading fitness franchise brand in China. Sam has also been an amateur cyclist for more than 11 years and he loves to participate in domestic amateur cycling events. Garfield Lu (from Taiyuan, China) has over 10 years of experience in fitness industry. Garfield graduated from one of the top military academies in China with great physical condition and dedication. Garfield always believes in the idea “Find the right people and do the things right.” Garfield’s indoor cycling teaching journey started in 2008 and he has taught and developed a group of 150+ instructors in Shanxi Province thus far. Jason Lien (from Taiwan, China) is the Founder of CYCLE ZERO Cycling Studio Xiamen and an indoor cycling instructor for Embo Hospital Xiamen. Jason has rich experience with teaching indoor cycling classes. Queen, from Shanghai, has more than 7 years experience as instructor for yoga and indoor cycling in top fitness franchise brands in China. Queen has rich experience in teaching cycling class and is very good at motivating members by using proper music and cues of life philosophy. Queen is passionate about life and fitness, she keeps learning, challenging, breaking through, and is willing to share experiences with her members. Romeo (Shanghai, China) has been in the fitness industry since 2001. Romeo was GX Training Manager of Wills Group, one of the largest fitness franchise brands in China. Romeo is currently Program Manager of Active Lifestyle China and FTI PROGRAM COUNTRY LEADER in China. Romeo is also an amateur cyclist, he participates in domestic amateur cycling events all year round. Sonja is a world-class athlete and skilled fitness programmer. She has over 17 years of experience in the fitness industry and holds Certifications with USATF, ACSM and AFAA as well as AFAA specialty certifications in Youth, Senior, and Pre-Natal Fitness. Sonja is also a professional runner and holds multiple records. Sonja also prioritizes her role as wife and mother (daughter, Brianna) in addition to her fitness career and competitive endeavors. Wayne Gordon famously known as ‘Doom’ in the hit UK TV show GLADIATORS, is a world-class athlete and fitness expert. Wayne’s lifelong love of sports has seen him compete in football, cross country, judo and boxing at club level. Wayne’s biggest achievement of all was competing in the Great Britain Bobsleigh team for seven years; to World Championship level. • Articles featured in FAMOUSLY FIT, MEN’S FITNESS, ATTITUDE ACTIVE, and MUSCLE AND FITNESS. Pete is an ACE and NASM Certified Personal Trainer, consultant and host of the All About Fitness podcast. In addition, Pete is a CSCS with the NSCA and holds a MS in Exercise Science. Pete is a blogger for ACE, online instructor for NASM, teaches group fitness and is an author of numerous articles and textbook chapters. Currently, Pete is a well-respected adjunct faculty at Mesa College and a proud SCW Faculty member having created and contributed to multiple SCW Certifications. Frank Müller, is a personal trainer who owns his own studio and works as a Master Trainer for Core Health & Fitness Germany. Since 1995, Frank has been working as a trainer and sports director in the fitness sector and as an independent instructor and coach in the field of health and fitness. He is the owner of EMS Fitness Lounge in Kronach and a specialist in cycling, running and functional training. As an active mountain biker and multiple Ultratrail Finisher he lives faithfully his motto – the way is the goal! Like hardly any other, it combines the components of the power of mental strength and willpower, and has thus been able to help far more than 1000 coaches, managers and athletes in the implementation of your goals. • The opportunity to help more than 1000 coaches, managers and athletes achieve their goals. Christian has 16 years of training and sales experience in Nautilus and Core Health & Fitness equipment. In addition Christian is a Master Trainer for multi Core Health & Fitness products ranging from Nautilus Fitness Instructor, Nautilus Master Trainer, Nautilus Human Sport, Stairmaster BoxMaster Master Trainer and also Master Trainer for Warriors level 1 and 2, TRX, Nutrition and cycling. Adriana Sollberger is a Swiss, European & World Champion in Thai Boxing and is well diversified in Core Health & Fitness product knowledge. Dani is a freelance personal trainer based in Marlow, Buckinghamshire. She has over 7 years’ experience in the fitness industry and has worked at several clubs as a group cycling instructor and personal trainer. Some of Dani’s previous work includes fitness modelling & presenting for GFI training that deliver health and fitness qualifications. Dani has also worked for George Foreman healthy grills, presenting and demonstrating exercises and incorporating the grills into nutrition. Dani has represented Core Health & Fitness at a number of trade shows in the UK and Internationally. She brings with her a wealth of knowledge and experience from her own Personal training business and looks forward to educating clubs and their staff.